Since its initial publication, English with an Accent has provoked debate and controversy within classrooms through its in-depth scrutiny of American attitudes towards language. Rosina Lippi-Green discusses the ways in which discrimination based on accent functions to support and perpetuate social structures and unequal power relations. new dedicated chapters on Latino English and Asian American English discussion questions, further reading, and suggested classroom exercises, updated examples from the classroom, the judicial system, the media, and corporate culture a discussion of the long-term implications of the Ebonics debate a brand-new companion website with a glossary of key terms and links to audio, video, and images relevant to the each chapter's content. 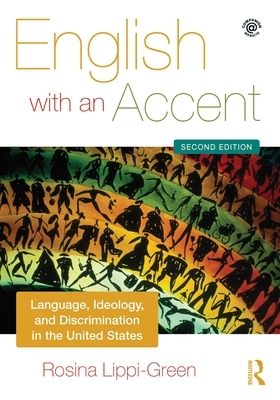 English with an Accent is essential reading for students with interests in attitudes and discrimination towards language. Rosina Lippi-Green holds a PhD in linguistics from Princeton University, taught linguistics for twelve years, and is now an award-winning fiction writer.